Is the Android 4.2.2 update back on for some HTC One S models? It wasn't so long ago when HTC France told owners of the HTC One S that sorry, there will be no update to Android 4.2.2 for the phone. Those sporting the phone could have rioted, looted stores in major metropolitan cities, or shot spitballs through straws at those with a smartphone that received the update. Instead, deciding on the pacifist route, a petition went up on Change.org, seeking a reversal of the decision from the Taiwan based manufacturer. So what did make HTC change its mind from its February pronouncement that the update was in the bag to eventually putting the kibosh on Android 4.2.2 for the HTC One S? A published report on Wednesday blamed Qualcomm for HTC's decision. The report noted that the HTC One S has two different versions. One version for Europe, the Middle East and the Americas, is powered by the Qualcomm Snapdragon S3 while the other variant has the Qualcomm Snapdragon S4 under the hood. 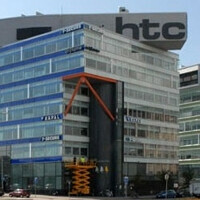 The silicon slinger decided to drop software support for the S3 which left HTC in a quandry. The company could spend the big bucks to update the S3 drivers, or cancel the update for both S3 and S4 models. While we know the rest of the story, it turns out that there could be a revision to the ending. A tweet from HTC insider @LlabTooFer says that HTC has decided to go ahead and update the HTC One S model powered by the Qualcomm Snapdragon S4, to Android 4.2.2 after all. This will also include the update for Sense 5.0. There is no word on whether the S3 version will also be updated. They should update to 4.3 Else it will be bad Just 4.2????? Good to know the update is back on. Hopefully they'll be able to work something out with Qualcomm to update the S3 version, but it's understandable if they can't. What about the HTC ONE X??? HTC is making a big issue for providing small update for the devices from Android 4.1.2 to 4.2.2. If this is the case, HTC owners can forget getting Android 5.0 for any current devices. Not even HTC one will get Android 5.0. Pathetic HTC. Maybe because the devices who will get Android 4.2 will get a upgraded Sense called Sense 5 compared to Sense 4+? I have not seen that many phones apart from the Nexus 4 released last year that got the Android 4.2 update already, so its not only pathetic HTC. They've done before and they'll do it again and again until they go bankrupt from all the people getting mad at their lack of support for their smartphones until one day it'll all end with HTC being just as much a lump of crap as BlackBerry and just as worthless, HTC needs to change it way or fade into the background.